During the State of the Word presentation last December Matt Mullenweg, the creator of WordPress and CEO of Automattic, announced WordPress’ adoption of the Tide project. In this article, we will briefly overview the project and give tips to WordPress developers on how to prepare for its future implementation. Last November, XWP published a preview of an intriguing Tide project which aims to improve the quality of code in WordPress themes and plugins. The company works with the support of Google, Automatic and WP Engine to create a new service that will help users make better decisions when choosing plugins and encourage developers to write better code. Beta version of the Tide 1.0.0 was presented on June 27, 2018. It’s now available on GitHub and wptide.org. Naturally, a project that can have a significant impact on the ecosystem of plugins and causes a lot of questions about who is behind all this and what is the criteria for evaluation. The diagram below displays the Google Cloud Platform (GCP) components, Tide services components, and pending link with WordPress.org for the PHP Compatibility integration. In the future, Tide project will be available as a service for testing your plugins or themes during development. How Can Developers Get High Scores on Tide Rating System? You need to study the Coding Standards on the WordPress Codex. Concentrate on identifying a few changes you could make to your existing coding habits. Revisit the Codex regularly to see if there’s something else you could improve. Ask peers, mentors, and experts to review your code. Try to find opportunities to review other developers’ code, too. GitHub has a great code review feature, so make use of it. Refactoring the old code is one of the best ways to keep an old codebase clean, while at the same time strengthening all the new knowledge you’ve learned since writing it. Tide project is still in development and needs to be worked on. 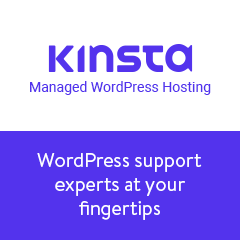 However, there is no doubt that it will have a huge impact on WordPress plugins and themes ecosystem. So, it is in WordPress developers’ best interests to get involved in the testing and implementing it as soon as possible.